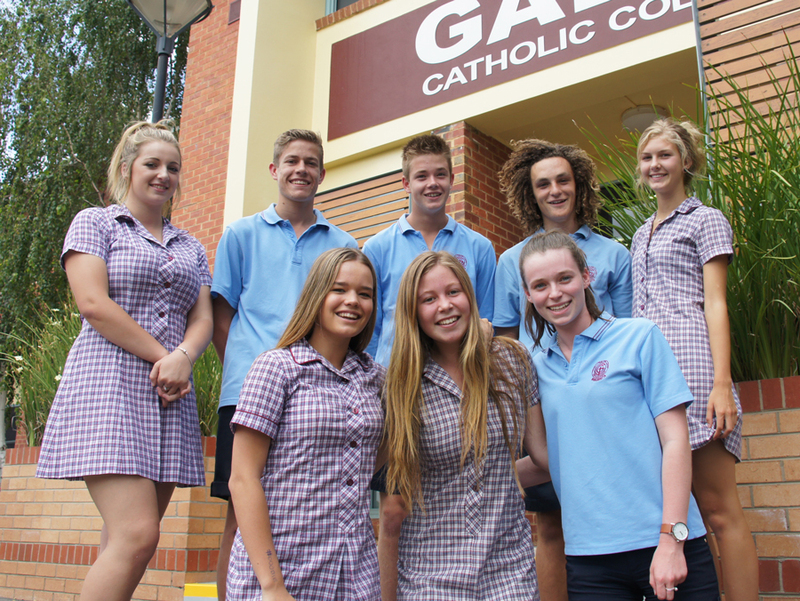 Chloe Thrum, Lachlan Campbell, Harry Condon, Will Nolan, Jade Gibson, Front: Noemi Brockoff, Beth Cook and Kate Saunders are hosting a trivia night to raise funds for a needy school in Timor Leste. Eight senior students from Galen College will be hosting a Trivia Night to raise funds for a needy village school in Abafala, Timor Leste before they embark on an annual immersion trip next month. “For every $10 we raise, we can help to provide building materials for the local Timorese builders to rebuild the school,” said Galen RE Domain Leader, Lyndel Petersen. “There will be trivia prizes, a raffle and an auction of wonderful goodies on offer,” said Mrs Petersen. The Trivia Night will take place at St Patrick’s Parish Hall on Friday 27th February at 7pm. Tickets are $20 each and can be purchased from the main office at Galen College.